Invincible Universe signing this Saturday, Apr 27. These 3 sketches (Spider-Man, Black Widow, and Iron Man) will be raffled off at my Invincible Universe #1 signing at at Phat Collectibles in Anaheim, CA this Sat., Apr. 27th, 4-6pm. 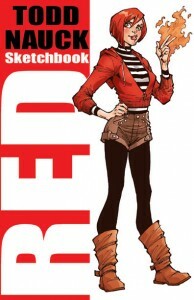 I’ll also have prints, sketchbooks and original art available during the signing. See you at Phat Collectibles this Saturday! Drawn Copic sketch markers, Pigma Micron markers and Sharpie markers. 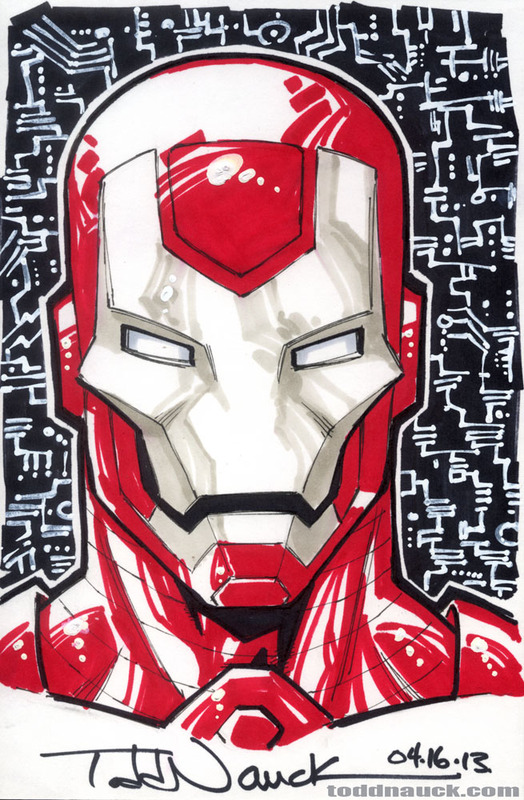 Iron Man original art for sale on ebay. 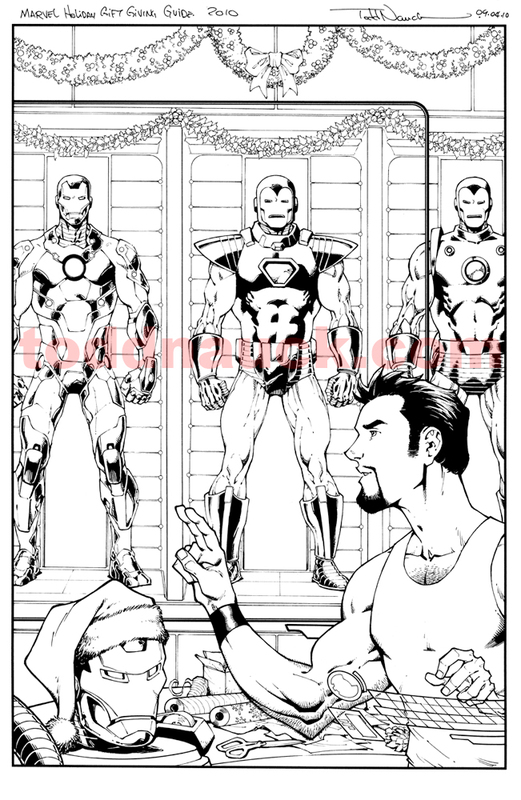 My wife, Dawn, just posted a page of Iron Man original art on ebay. Tony Stark prepares for the holidays! Extreme Makeover: Home Edition + Marvel = Dude! That’s MY Art! If you watched Extreme Makeover: Home Edition on Sunday, February 21 starring KISS as they joined the EM:HE team to help out the Wagstaff family, then you probably saw the art I created for their son, TJ. TJ is an aspiring young artist. I was contacted by Marvel Comics to create an original piece of art featuring TJ alongside some of Marvel’s heavy-hitters: Spider-Man, Iron Man, Captain America, and Thor. This piece of original art was for TJ’s room along with lots of other cool Marvel stuff. 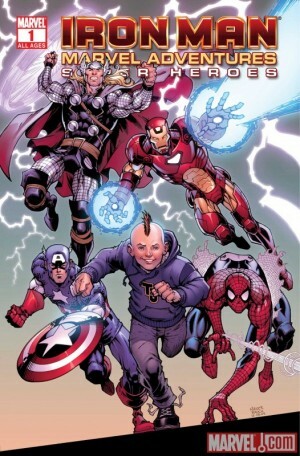 But the art will also be used as a variant cover to the first issue of Marvel’ new all-ages series, Marvel Adventures Super Heroes coming out in April. 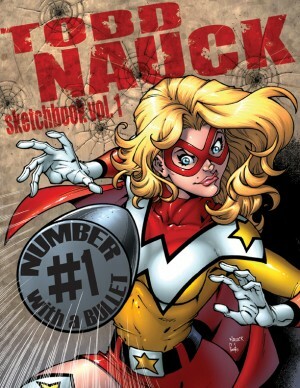 I have been a comic creator for the past 15+ years working for Marvel Comics and DC Comics. 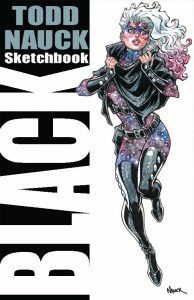 I’ve been the artist for such series as Friendly Neighborhood Spider-Man, Teen Titans, Young Justice, and my creator-owned series WildGuard, to name a few. Most notably, I was the artist that drew the historic and top selling Spider-Man team-up with President Obama that ran in Amazing Spider-Man #583. 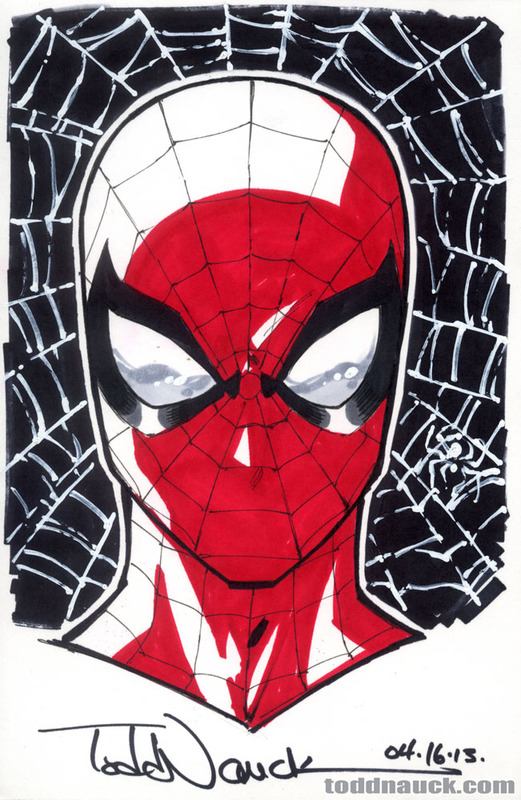 I am currently continuing my work with more Spider-Man projects like Spider-Man: Clone Saga and Web of Spider-Man. Read more about my career in the ABOUT section. 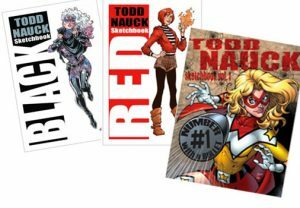 You can follow me on Twitter and my Facebook Fanpage to¬† get updates of my next comic book conventions and store appearances, and the upcoming comic book projects I am working on. Thanks for stopping by! 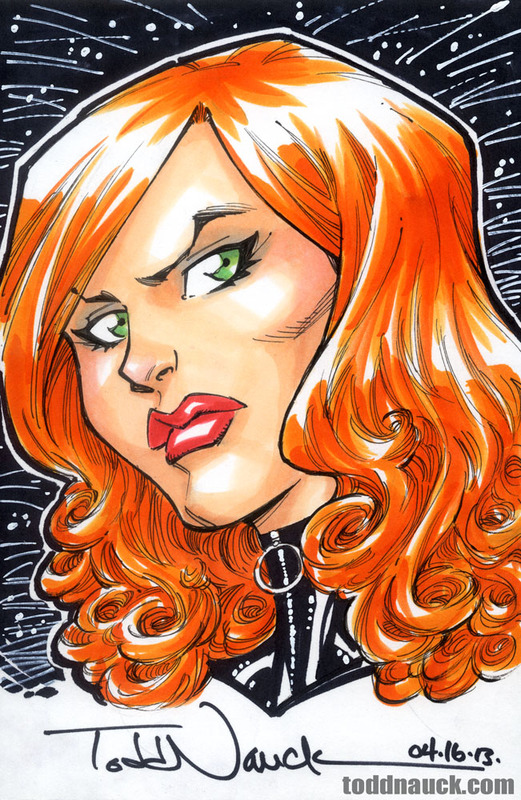 Feel free to subscribe to the RSS feed for future blog and art posts!